Find out a little more about the making of the film. Find out what Charlie has been up to and learn more about the the soon to be released BBC film Bear Man of Kamchatka. Click here to learn what Charlie's been up to. Please be advised that this portion of the project is completed. The information from this project will be utilized as history and background information for Charlie Russell's new project. 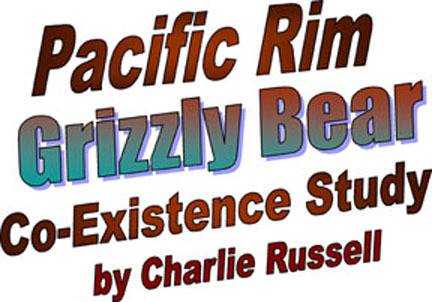 Additionally, Charlie is creating new goals and projects that are related to the grizzly bear. These items will appear on this website under a different organization. Maureen Enns has completed this project and is moving onto new exciting directions with her work. 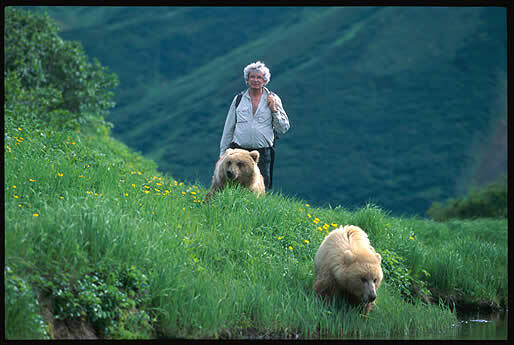 Click Here for the Historical Website Information from the Kamchatka Grizzlies of Russian Far East Project from 1997 - 2003. Charlie will be writing letters to the web readers to update you on what he has been up too! Please click on the buttons in special features for information on the new project. 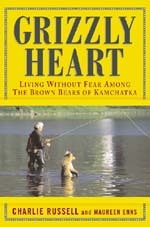 "What if the thought of encountering a grizzly bear filled you with anticipation and wonder? What if you knew a bear her whole life, and the bear treated you as a welcome friend whenever you visited? What if bears themselves could be free to live as they were meant to, enjoying nature's splendour and not fearful of gun-bearing humans?" 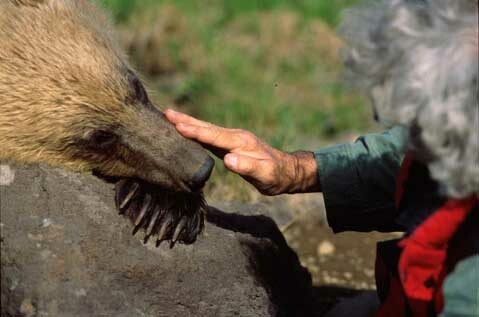 Cloudline Co-Existence Ltd. is a non-profit, Canadian registered company, established to manage the funds for Charlie Russell's bear conservation projects such as the Pacific Rim Grizzly Bear Co-Existence Study. Individual donations and book royalties will go into this company.